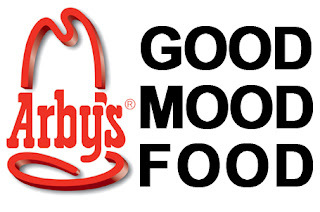 We're giving away a 20 dollar Arby's gift card just for visiting this blog! Entries will be accepted until Thursday 11PM EST. 2--Follow us on Facebook by clicking this link and "Like" us. If you already follow us, comment on any link on our Facebook page to gain another entry. 3--Follow us on Twitter by clicking this link. If you already follow us, tweet any of one of our reviews for an extra entry. If you do not appreciate our sophomoric humor and poor writing, then you can click this link, head down to the 5th ring, turn left at the 4th pit, and burn in Hell. 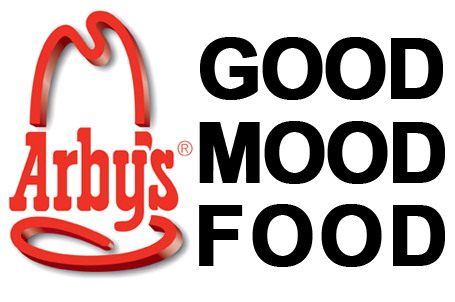 There are only two things you can dip in Arby's sauce. Bread from the sandwich or french fries. Mr T's mohaw and/or gold chains. Or a Turkey marketfresh sandwich. Depends on the lunar cycle. Julie was the random winner of the contest. You'll be contacted with details. Thanks for entering. If you didn't win, please send us hate mail. We love it. Eck! How did I comment on the wrong post? I love to dip fries but it makes me too fat, so I'll just eat a yummy roast beef sandwich.